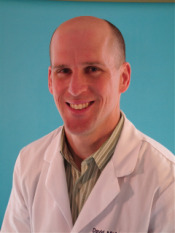 David Matunis, V.M.D. was born and raised in Loysville, Pennsylvania. He received his Bachelor's degree in animal science from Penn State University in 1994. He went on to achieve his veterinary degree from the University of Pennsylvania in 1998. Since graduation, Dr. Matunis has focused his attention on Small Animal Medicine, with special interests in Internal Medicine and Surgery. Prior to opening Eagle Animal Hospital, Dr. Matunis worked in Specialty Care Hospitals developing his skills with board certified veterinary surgeons and critical care veterinarians. Dr. Matunis is a U.S. Department of Agriculture accredited veterinarian and is a member of the American Veterinary Medical Association. When not at Eagle Animal Hospital, Dr. Matunis enjoys spending time with his family and pets, mountain biking and road riding. 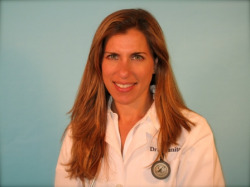 A native of Villanova, Dr. Jennifer Granite attended the University of Pennsylvania and received her Bachelor's Degree in Communications in 1994. She went on to veterinary school at the University of Pennsylvania and was awarded her Veterinariae Medicinae Doctoris degree in 2000. Dr. Granite had been practicing veterinary medicine at Ardmore Animal Hospital since 2001 before joining Eagle Animal Hospital. Her professional interests include general medicine, pediatrics and surgery. Dr. Granite is a U.S. Department of Agriculture accredited veterinarian. She is a member of the American Veterinary Medical Association and the American Animal Hospital Association. Outside of work, Dr. Granite takes pleasure in spending time with her family, reading, and exercising, especially running and spinning. Harriet Band's family includes her husband Maylin and their two wonderful girls Aubrey and Kiley. The pets in their lives include a Rottweiler named Damien and three cats; Izzy, Derek, and Kiara. 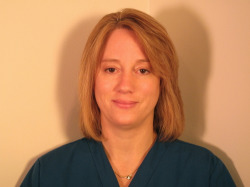 Harriet has worked at Eagle Animal Hospital since 2008. She enjoys gardening, camping and is an avid reader. Her other hobby is nature photography. 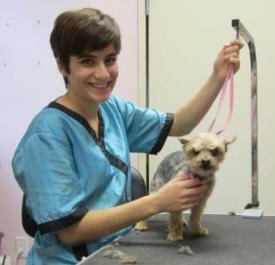 Vicki Guy began working with animals over 20 years ago when she became a dog groomer. She owned her own grooming business for 10 years before being employed as a veterinary assistant. It was there that she found her passion in veterinary medicine and has worked hard to become a veterinary technician. Vicki and her husband Steve enjoy camping with their six dogs. They have three Pitbulls named Jazz, Pudge, and Mosie. Two Chihuahuas Ding Ding and Bumps and a Dachshund named Junior. Vicki's other interests include cooking, scrap booking and riding with her husband on their Harley in the great outdoors. Lisa Seale was born in New Jersey but has lived in Rhode Island, South Carolina, Tennessee, and Texas. She moved to the Chester County area in 2014. 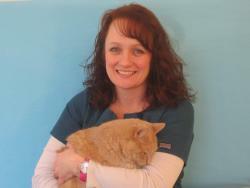 Lisa has worked in the veterinary field since 2006 and loves being a part of helping animals. In addition to working at Eagle Animal Hospital, Lisa also works at a local emergency hospital. Lisa shares her home with two cats, Petey and Oliver and a Shih Tzu, Libby. In her free time, Lisa enjoys visiting with her parents and their cat Shuma. Alyson Kelly grew up in northeast Philadelphia and moved to Chester County eight years ago. She graduated from Millersville University in 2009 with a Batchelor's degree in Biology. She has loved animals since she was a little girl and that love has only intensified over the years. Alyson has many pets, among them 2 dogs named Zeva and Tinsley, a rabbit named Penny Lane, Squirt a chinchilla, and finally two turtles named Frank and Chip respectively. Alyson has two children, her son Braydon and her daughter, Charlotte. Her interests include camping, writing, reading, and anything sports related. She is an avid Flyers fan. Elizabeth Murner is currently a student at the University of Maryland and is majoring in Animal Science. When school is in recess during the summer or for other breaks she is often able to come and help us. With a strong desire to help animals with their medical needs Liz wishes to pursue a degree in Veterinary Medicine. She has been a horseback rider for over 15 years and competed on the University of Maryland Dressage team. Her pets include a dog named Brinkley and also a cat named Casey. Lori Horrocks has been working in the veterinary field for over 20 years. She has always had a love of animals but after raising her children, it was time to return to the work force. She was offered a position at a local animal hospital and the rest is history. Lori and her husband Doug share their home with a cat and four dogs. They are Max, a Bulldog mix, Cosmo, a Chinese Crested, Beans a Boston Terrier, Coco, Papillon and Cleopatra, a domestic shorthair. In her free time, Lori enjoys hiking, running, physical fitness, and going to the beach. 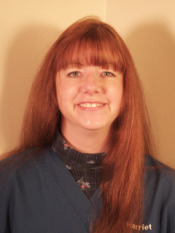 Keri LinsenBigler joined Eagle Animal Hospital in October 2013. She graduated from Harcum Collage as a certified vet tech in 1996. She has worked in both Emergency and general practices. 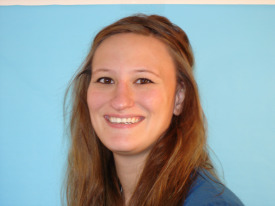 Keri is more at home working in general practice where she can share her passion for dental care and develop relationships with clients and their pet. Keri lives in Berks county where she shared her home with her husband Brian, 2 sons Reis and Aaron, and a cat named Dyna. In her spare time Keri likes to read, go camping, hiking, and kayaking. She is also very involved with her boys in Boy Scouts. Cristin Capriotti is a graduate of Cindy's Canine Companion school of Pet Styling. Cristin started working with dogs three years ago, but found her true passion in grooming shortly after. Cristin joined Eagle Animal Hospital in June 2015. Cristin is a local graduate of Downingtown West, and of West Chester University. Cristin resides with her husband, Steve and two dogs, Mac and Pan. She enjoys hiking, running, and being out on the water. Binx.... he only goes by one name. You know, like the rock stars Sting and Prince. So recognized and famous they really don't need a last name. Binx is the rock star of his own little world. He knows how photogenic he is as he poses for glamour shots. Binx is catered to by his own staff who let him do just about anything except go outside. You know how vicious the paparazzi can be.